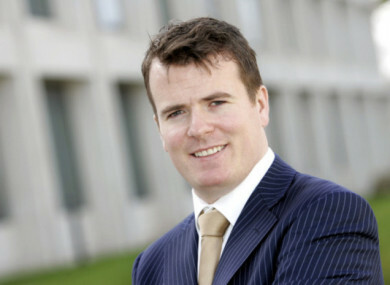 ANGEL INVESTOR AND entrepreneur Ian Lucey has said there are a lot of “badly funded startups” in Ireland because too many entrepreneurs rely on government investment. Lucey – who fronts an eponymous startup fund – said there is little incentive for investors in Ireland to back young companies, particularly in comparison to the enticements on offer in the UK. He also took aim at the government’s Employment Incentive and Investment Scheme (EIIS), which has been criticised by investors and companies that consider it an administrative burden. Lucey said that the scheme is less attractive than its UK equivalent. “At the moment, if I do the EIIS investment, I get 30% of my money back now, I get 11% back in three years time,” Lucey said. “That’s versus the British system where people are getting up to 84% of their money back. “What you’re finding now is that very few accountancy practices in Ireland are promoting it to their clients as an investment vehicle. That kind of circle is just getting worse and worse in Ireland,” he said. Lucey was speaking to Fora following the announcement of a major ‘innovation space’ in Dún Laoghaire’s old ferry terminal, in which he is a minority shareholder. The project is fronted by businessman and Blond Capital owner Philip Gannon. Over the next decade, it is expected that about €20 million will be invested in the Harbour Innovation Campus and the local area. The facility is slated to open in mid-2018, provided it’s given planning approval by the local council. Lucey agreed the innovation hub – which will provide co-working space for up to 1,000 people – is “a very different thing” for him to do. He said he became interested in the concept while travelling the world and meeting startup founders under the guise of the Lucey Fund . However, Lucey believes that Ireland as a whole is “hugely under-served” when it comes to co-working space. Lucey said smaller spaces lack “the community benefits” that come with working in a shared office. For the next 10 years, the Harbour Innovation Campus will hold the lease on the former ferry terminal, which is owned by the Dún Laoghaire Harbour Company. Lucey said the multimillion-euro investment will largely be spent on re-purposing the inside of the building – “it’s not without its electrical requirements” – although the majority of it will remain unchanged. He said the plan is to keep as much of the existing rooms intact as possible – including an ex-ticket office, bureau de change and immigration interrogation rooms. The space will add new features like a coffee shop and ‘makers studio’ offering the likes of 3D printing to entrepreneurs. “It’s a very unique building and what’s interesting about it is that it’s in great condition,” he said. Lucey has a strong connection with Dún Laoghaire town having previously worked at a software firm, Apex, located next to the famous Teddy’s Ice Cream shop. He believes that the innovation space will benefit the local economy, which already houses a number of technology companies. “What happens a lot of the time is the rent the office space, but then they end up having a lot of meetings in coffee shops and things like that,” Lucey said, adding it’s expected a number of businesses will grow out of the co-working hub and take up local office space. “A lot of tech companies don’t need to be in the city centre,” he said. “We’re only about 12 minutes from Google on the Dart. Lucey said that once the Habour Innovation Campus is up and running, he may look to open similar co-working spaces in other parts of the country. “A lot of what happens in Ireland at the moment is quite government-led. This isn’t. This is very much coming from the private sector first. I think that’s a good thing,” he said. When asked about other future plans, Lucey said he is interested in establishing “a good representative body in the tech industry” so the sector has more lobbying muscle. Email “'The startup community in Ireland is excellent - but funding is a killer'”. Feedback on “'The startup community in Ireland is excellent - but funding is a killer'”.